I’ve commenced my new Zodiac Series of paintings with Taurus. 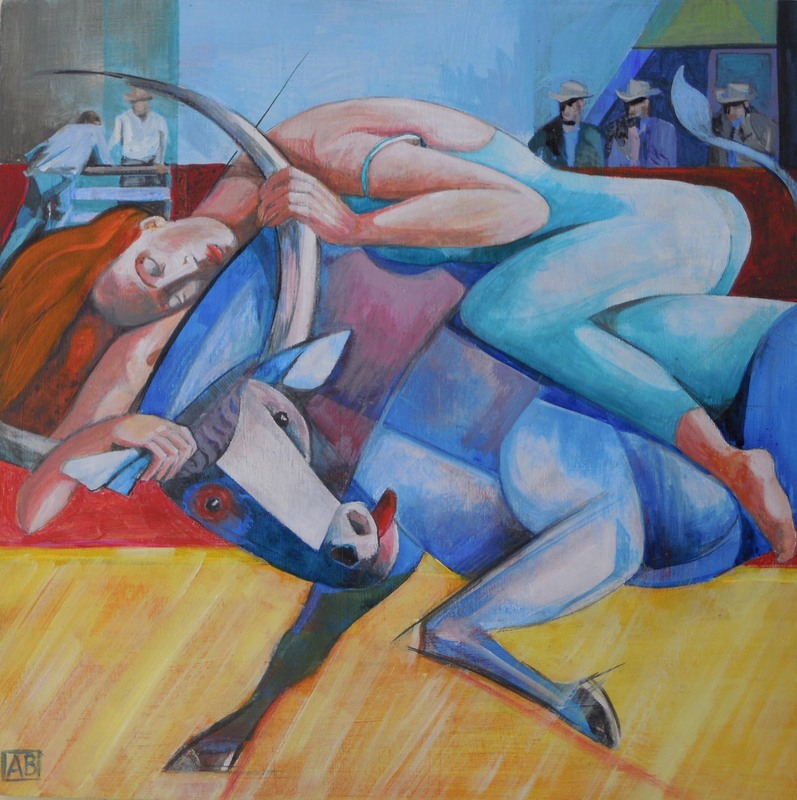 This painting called “Taurus tamed” was inspired by the characteristics of this star sign ( reliable, practical, ambitious and sensual with an eye for beauty) and something I read that for a bull-ride to count, the rider has to stay on it’s back for 8 minutes. It seemed that a softer, feminine approach with a degree of collaboration was going to win out over lots of male bravado so this is what I decided to paint. 30 x 30cm acrylic on wood.